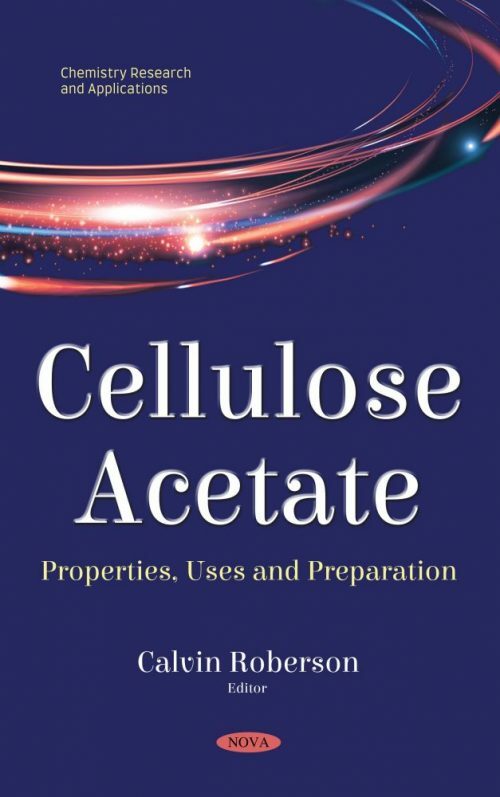 Cellulose Acetate: Properties, Uses and Preparation presents data on thermodynamic characteristics (heat capacity, enthalpy, entropy, and Gibbs function) from 4 to 580 K cellulose acetates and cellulose nitrates, as well as the major plasticizers for these polymers, the temperatures of their relaxation and phase transitions, the effect of plasticizers on these characteristics of cellulose acetate and cellulose nitrate and the solubility of plasticizers in polymers. On the basis of the data obtained, diagrams of the physical states of the cellulose acetate and cellulose nitrate – plasticizer systems were constructed and analyzed in a wide range of temperatures and throughout the concentration range of the components. Cellulose diacetate has been used in the design of sorption matrices for the fluorescent analysis of polyaromatic and heterocyclic compounds. 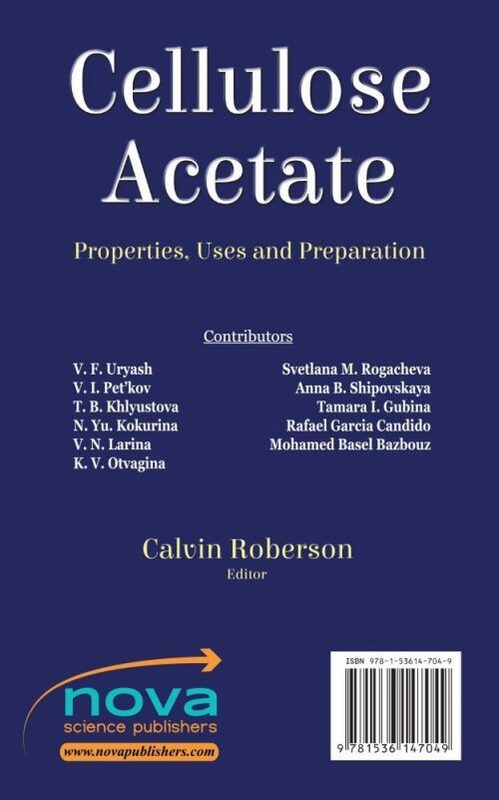 Thus, the physicochemical properties of cellulose diacetate solutions in a binary acetone-water solvent were analyzed along with the morphological, surface-energy, physicochemical and physicomechanical characteristics of film matrices in comparison with fiber ones. Additionally, the authors examine how the growth of CO2 emissions efforts led to the necessity for green material solutions that fit into a sustainable development policy and low environmental impact. The major barriers to produce cellulose-based products from agricultural residues are the heterogeneity of the raw material, the experimental conditions reproducibility, the heterogeneous phase of the synthesis reaction, the difficulty of purification, the effluent disposal, and the control of the product quality. In the closing study, the authors provide a comprehensive review of electrospun nanofibres from different types of polymers with synthesized montmorillonite clays. Loading activated natural bentonite clay into any type of polymer can improve the adsorption property of electrospun nanofibres, but the bentonite clay must be well dispersed, suspended and loaded to achieve any benefit. This study may pave the way for further use of electrospun nanofibres loaded with clay in a wide variety of environmental and medical applications.